I am back with a wonderful post for my wonderful readers , its how to get a box of free goodies from site Smytten.com . Last week while watching some videos on youtube , i came across this site Smytten.com , i thought its another Beauty Subscription service like many others but after watching the video i came to know that its a site which offers free samples of some beauty products , tea and coffee . I thought of trying it and downloaded its app , it took some two days to get my request updated and then i could choose three samples and i placed my order and got my box delivered with in a week . (No shipping charges or any other fee , its totally free of cost ). Being a beauty blogger i always look for new beauty products which i can try and review , so i chose 3 beauty product samples from brand Vichy and Ma Earth Botonicals . The packaging and box looked similar to some beauty subscription box like My Envy Box . 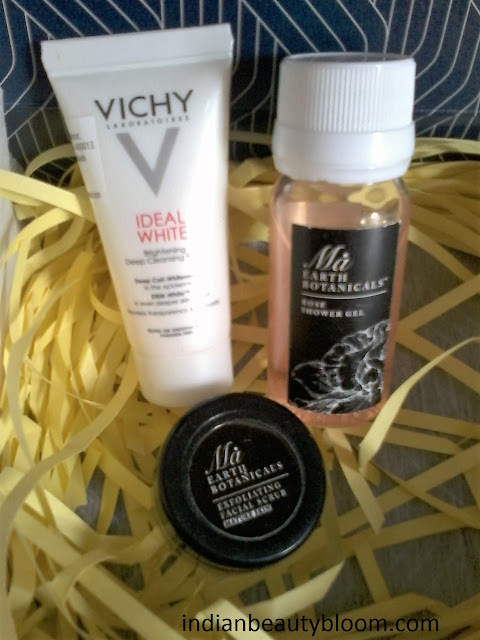 I was delighted to receive this box of 3 awesome goodies free of cost . And this wonderful journey does not ends here buts its a new beginning of exploring and trying new products . First order is free for all once they download smytten app on their smartphones . Then they can buy or shop from this app and write short reviews of products they have tried , this will help to earn some smytten points which makes one eligible for next set of free goodies , sounds interesting . I just loved this concept ,trying , reviewing and shopping some good stuffs from this app . So i thought of writing this post and sharing this with my readers and friends so that they can also try and enjoy some lovely products . 1.Download the smytten app on your smartphone . 2. After downloading the app one needs to wait for the invite ,this may take some 2 -3 days. 3.Once you get the invite , you can browse the site on app , the Home Page has two sections , Discover and Shop . 4.Browse the Discover section to check the trial products , they have some beauty products,tea and coffee trial packs . 5.Select 3 trial product and add them to your cart . 6. Fill in your address details and place your order . They fulfill their order with in a week . 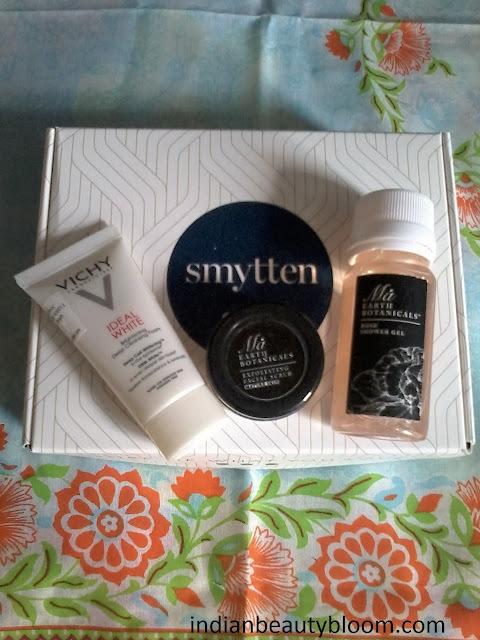 After trying those products one can write small reviews of it at smytten , that will help to earn some smytten points which will help to get some more free stuffs from them . Hope you all enjoyed reading this post and found it useful , if any doubt can ask me in the comment section . If have tried any other service like this , do share with others so that all can try and enjoy .